The Right of FREE SPEECH has been warped and perverted beyond belief, especially for those who understand the notion of Dharma or Righteousness. 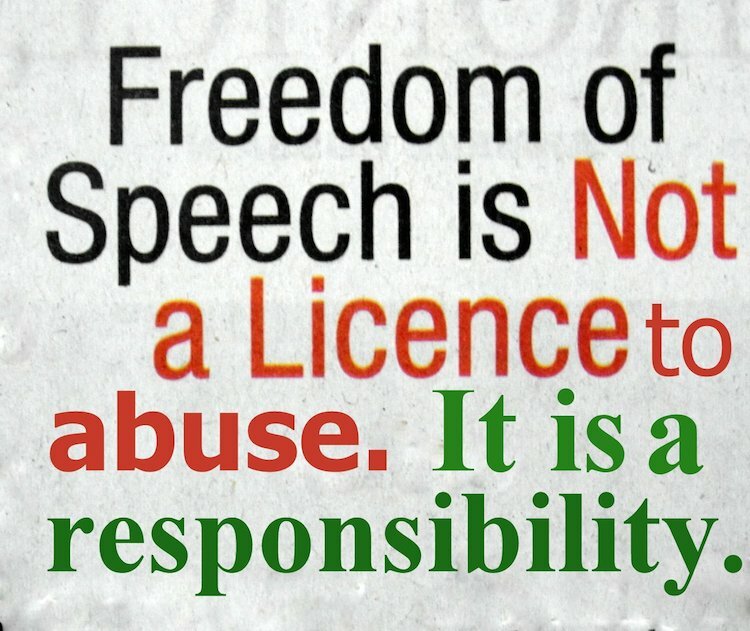 Our observations of the Charlie Hebdo situation are telling us that very few of us seem to have grown up with the correct understanding of Freedom of Speech. At this point in time, the implications of this lack of knowledge are highly significant, and we ask that you read on. 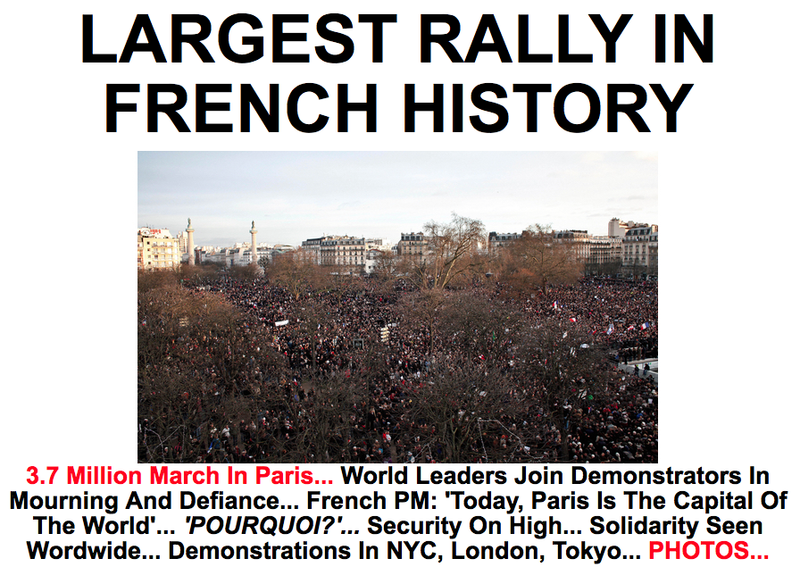 The fatal attack on the Charlie Hebdo newspaper offices in Paris has provided a HUGE wakeup call to the global village. Of course, many have used the occasion to give justification to the complete opposite message which the Universe intended to deliver to us by this shocking episode of violence. People are now ignorantly marching in favor of supporting one person’s right to profoundly disrespect another person’s religion and/or their religious figureheads. This is utter madness. And the people operating under the such a spell of delusion and deception simply have no clue. No clue? No clue about what? Freedom of Speech does not confer the right on any individual under the sun to simply say or write whatever he or she wants. Oh, yes, he or she can do it alright. They can write till their hearts content and scream their thoughts to the world from the biggest platform on the internet. They can rail against this and rail against that. They can mock and ridicule anything they want to. They can spread their hate and show off their bigotry on every street corner. Simply put, they can articulate their scorn and express their utter disdain for everything in Creation. And this is one of those deeply serious “HOWEVERs”. When a human being releases those words into the ethers, there will always be a ‘ENERGETIC’ cause and effect. There will always be a reaction — positive or negative — from those expressions, verbal or otherwise, especially when they have been made public in a big way. It doesn’t matter whether those communications are vocalized utterances or digital writings, colorful drawings or sculptural renditions, bathroom wall graffiti or newspaper cartoons. Speech and writing do have major consequences, and far-reaching ramifications, both good and bad. In order to guarantee the good we must consciously use forms of expression that are respectful and non-offensive … to everyone concerned. The more we depart from that simple moral code the more karmic blowback we can expect. Does anyone really expect that you can can say or write anything you want without consequences? What total mass delusion such an incorrect understanding truly is — that we can say or write anything you want! Millions have been manipulated to march in the interest of shredding other peoples’ religions and their religious practices as well as their deities and saints. They have been somehow deceived to believe that this is the way the Universe really works??? Like that’s okay! IT’S TIME FOR US TO BECOME AWARE THAT THE RULING CABAL, ONCE AGAIN, IS DELIBERATELY DECEIVING US AT THIS FRENZIED TIME INTO BELIEVING THEIR LATEST FALSE FLAG OP IN PARIS! Some actually believe that it’s perfectly okay to depict the religious figureheads of the world’s major religions in the most vile pictorial representations imaginable. They really seem to think that this behavior is acceptable. It’s their right of Free Speech! No, in our opinion, this is most definitely not Free Speech! You speak it, or write it; you own it. And, you had better accept the results of your actions. Because if you don’t, each subsequent foray into the world of utterance or writing will produce a greater and more dramatic episode of karmic blowback. Got it? Who are the terrorists who incited the Paris terror event? No, you don’t? 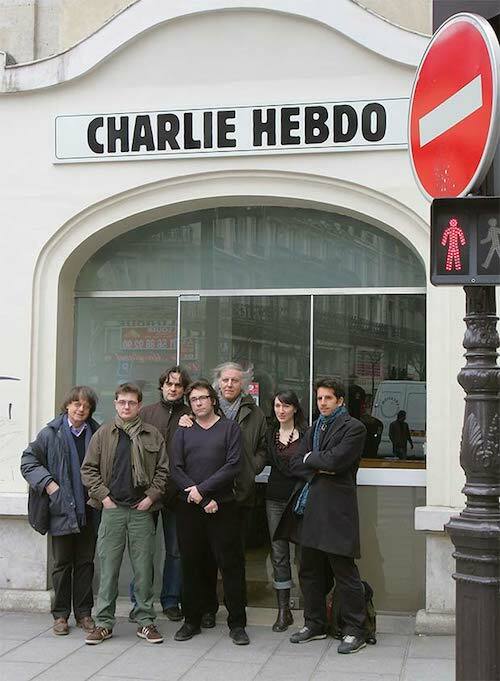 Welcome to the Charlie Hebdo catastrophe! Surely this was a disaster which those folks brought upon themselves. NO, No, no … we’re not justifying any type of violent response to those odious cartoons. We’re just sayin’ that those cartoonists really screwed up BIG TIME after being warned over many years — by the Universe itself. What was the universal message? Don’t disrespect another’s religion! Is that so difficult to understand? If it is for certain folks, they had better stay away from newspaper offices which pride themselves on such despicable cartooning and lampooning. Every one of those involved at Charlie Hebdo in the production of such profoundly disrespectful cartoons, mocking all that Islam holds sacred, were on the receiving end of a desperately needed wake-up call. The messenger really makes no difference, as GOD often writes straight with very crooked lines. As for the message, well, when its delivered by an invisible 4 by 4 upside the head you know its an important one, yes?! 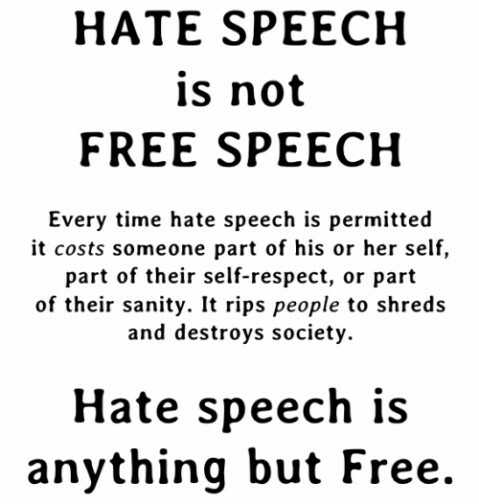 So, let’s talk about what Free Speech is NOT … categorically NOT. Deliberately and deeply offending the sensibilities of others through racial, religious, philosophical, spiritual, political, and national deprecations, which are at once vile and hateful, repugnant and revolting, is not exercising your God-given right of Free Speech. This “Law of the Land”, also known as DHARMA* in the East, is particularly operative when using a public platform like the internet. Especially because the reach and, therefore, the damage can be so much more harmful and extensive. Clearly this ever-intensifying global state of affairs has devolved into a morass of gross misunderstanding and smacks of the worst form of moral turpitude. There is no question here that terrorists who kill for such insults leveled against their God are completely unjustified. No doubt that their God is extremely unhappy with their violent reaction; nevertheless, that is business between them and their maker. However, who was it that started this war of words? The writer or the swordsman? Now we come to the crux of the matter. Those who use their pens and paintbrushes, keyboards and smartphones to trample on the religions and holy beings of other cultures are being manipulated to do so. They don’t even know this, but it’s true. 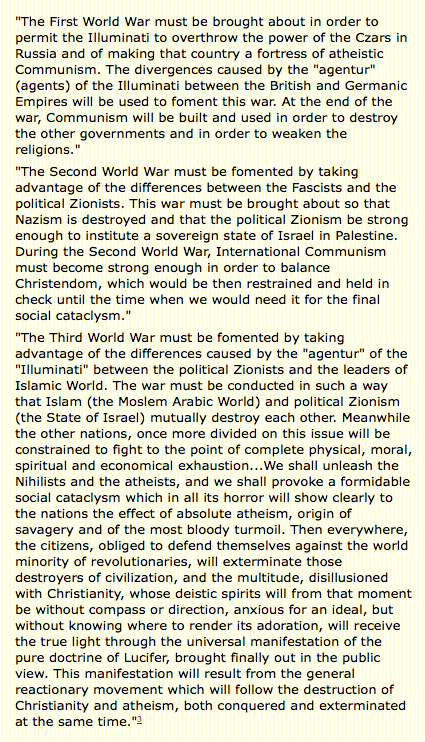 They also fail to realize that their penmanship and/or artistry is being used to start a full-blown world war. They ignorantly do the bidding of those powers behind the scenes who are clearly using them to advance the “Clash of Civilizations”. For those who have followed the Charlie Hebdo ‘terrorist attack’, as well as all the other terror events since 9/11, it ought to be clear that the ruling cabal always follows the same modus operandi (MO): Let the people themselves fight each other through the execution of an overarching “divide and conquer” strategy. Their trademark MO, of course, is called terrorism which inevitably sets nation against nation, religion against religion, and race against race. 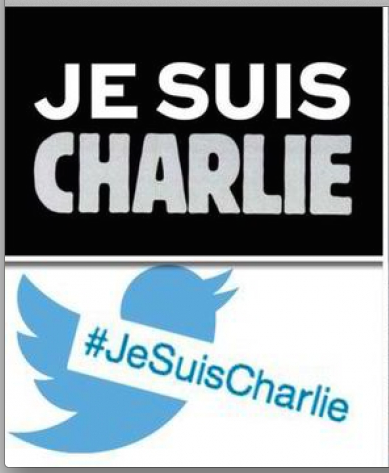 Has anyone seen how quickly the cyber-propagandists went to work creating the internet meme: “Je Suis Charlie“? All but a day had gone by and the Twitter co-conspirators already saw to it that “Je Suis Charlie hashtag would be one of most popular in Twitter history“. This kind of internet manipulation simply does not happen except by the will of TPTB who orchestrated the entire fabricated event from start to finish. That’s not to say in any way that those who were killed in Paris knew how they were used. Just as the German newspaper office that was just firebombed was used to further inflame the similar prevailing sentiments in Germany. In both cases the message is clear: Do not attempt to leave the reservation known as the Anglo-American Axis the way that President Hollande tried to by ending the sanctions against Russia. Certainly Prime Minister Angela Merkel has finally received that message, particularly in light of the many recent protests throughout Germany. This type of rabble-rousing by way of terror events is exactly what the world has experienced with increasing intensity since the 9/11 false flag terrorist attacks on the USA. Particularly throughout the Middle East, Europe, Russia, Ukraine, India, and China we have seen these staged terror attacks, fake protests, engineered coups, manufactured civil wars and color revolutions rise dramatically. Likewise, the Illuminati cabal fingerprints are all over the Charlie Hebdo false flag operation in Paris. And now they have successfully mobilize millions in the name of Free Speech. How quickly are the sheeple corralled into the pen, and then stampeded over the cliff of war?! This needs to be stopped … and fast. How can we stop this insanity once and for all, for the sake of humanity. The many overly permissive democracies around the globe are very close to economic collapse and financial disaster. Is it any wonder why? They violate natural law and promote injustice, eschew common sense and ignore the faculties of reasoning and critical thinking. Most are also immersed in an unprecedented climate of moral bankruptcy, which is so debilitating that their judgment is completely clouded. Then, when they are confronted with matters as weighty as how to implement Free Speech, they simply flip out. State of the Nation is appalled by the killings at Charlie Hebdo. Violence should never be condoned. This essay on Free Speech is just that — an essay on free speech. In no way is wanton terrorism justified, no matter what the cause or who the real perpetrators are.